NAPLES — Above the throng shoving its way along Via dei Tribunali, this pizza-crazed city’s historic pizza thoroughfare, Antonio Borrelli leaned over the fake lemons hanging from the “Balcony of Song” above Antica Pizzeria Gino Sorbillo and dared sing something else. “The pizza!” the crowd screamed in protest. 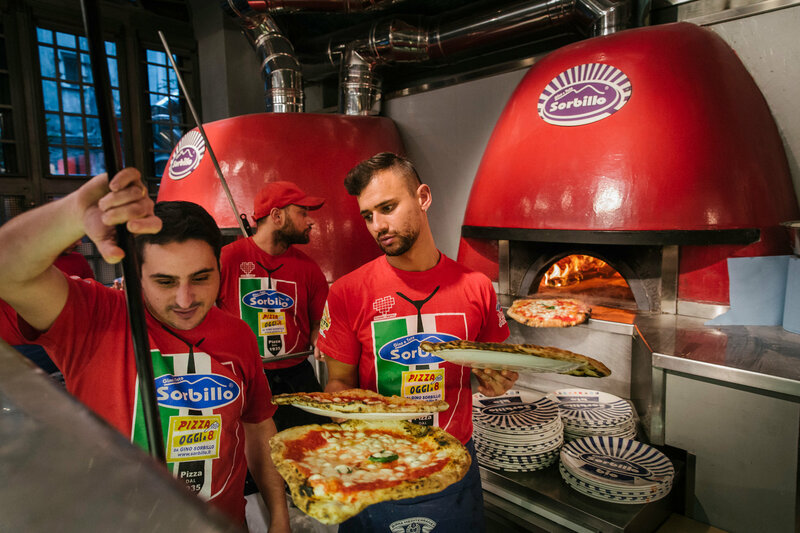 The delighted crowd sang along with Mr. Borelli in Neapolitan dialect, and then lost its collective marbles when he pointed out that the celebrity pizza maker Gino Sorbillo had stepped out of the restaurant and onto the street. Naples was in the throes of a citywide pizza party. There were 32 other intangible winners of the tangible list, including Choh, an Iranian horse-riding game accompanied by music and storytelling, and Uilleann piping from Ireland, but the pizzaiuoli of Naples proved as skilled in the art of self-promotion as in baking pies. Dressed in a couture jean apron over chef whites, the pizzaiuoli prompted a feeding frenzy outside his restaurant as he handed out free folded pizzas from an enormous copper pot and posed for hundreds of selfies. (“Not even Clark Gable,” said one of Mr. Sorbillo’s waiters, shaking his head.) 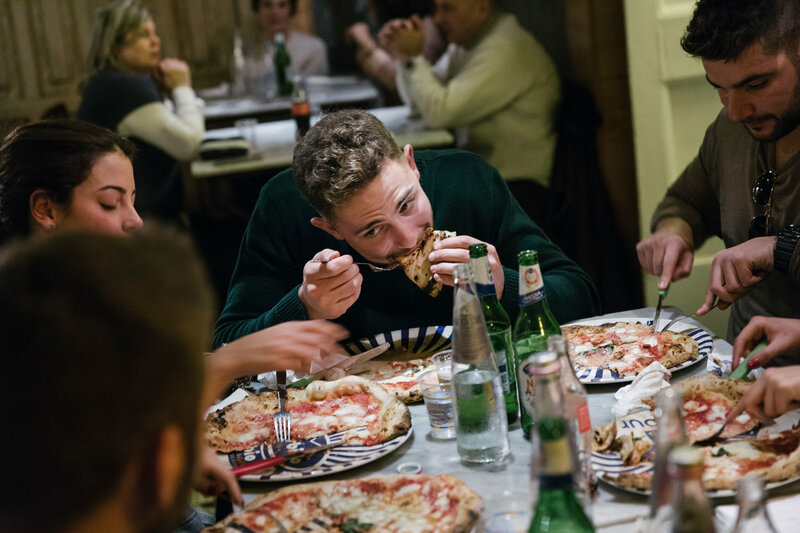 Through it all, the media-savvy pizza maker flaunted a special pie with “Pizza Unesco” written in white ricotta di bufala on a red marinara face. Immaculately groomed and bespectacled, Mr. Sorbillo walked into the kitchen, past a cardboard cutout of himself holding his new book, “Pizzaman.” He took a ball of dough from atop a stack of pink, green, blue and red boxes, tossed some flour on the marble countertop and smacked the dough down hard. “This is called the slap method,” he said. Next he spread the sauce, sprinkled the cheese, drizzled the oil and pulled the edges of what would become the raised cornicione crust taut over a wooden peel, before sliding it into the wood-burning oven. Mr. Sorbillo traces the road to recognition back 300 years ago, but appreciation from Unesco began more recently, when, in 2009, Pier Luigi Petrillo, an Italian professor and expert in “lobbying theories and techniques,” made three applications to Unesco on behalf of Italy’s Agriculture Ministry. The first to win was the Mediterranean diet, in 2010, (“It has given rise to a considerable body of knowledge, songs, maxims, tales and legends”), followed in 2014 by the practice of cultivating Zibibbo wine on the Sicilian island of Pantelleria. (“The technique consists of several phases.”) That same year, Italian advocates started collecting what ended up being two million signatures for the pizzaiuolo cause. He competed against “female traditional interior wall decoration in Asir, Saudi Arabia,” “Cultural practices associated to the 1st of March” in Bulgaria, and “Taskiwin, martial dance of the western High Atlas,” in Morocco. But the pizza lobbying paid off. 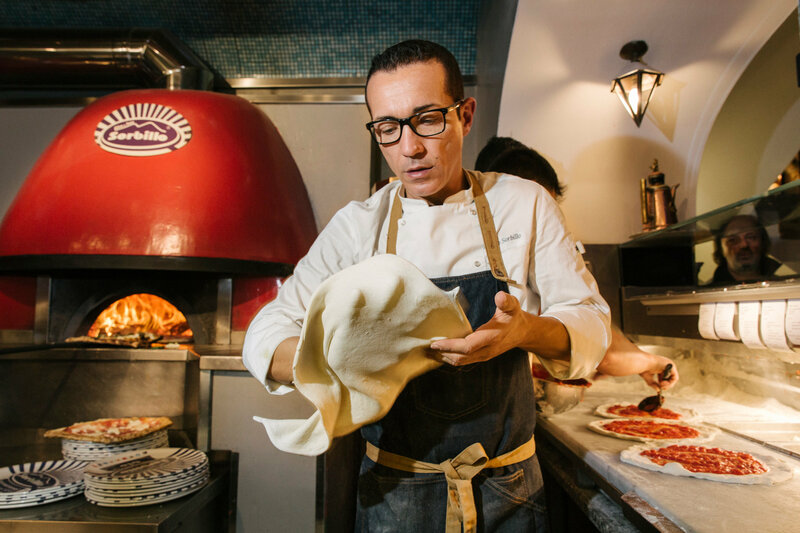 Mr. Oliva’s great-grandmother started making pizzas in the same building of the tough Sanità section of the city where he works his magic today, with little more than an oven and a window to hand the bread out on the street. Until even a few years ago, Sanità, where guys still hunch over bootleg-DVD stands watching the Naples mob show “Gomorrah,” was the sort of place people stayed away from. 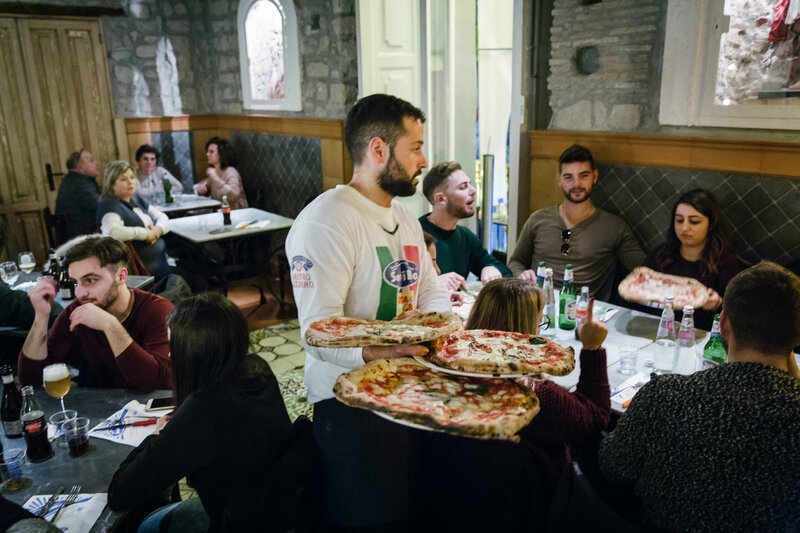 Now, Mr. Oliva said, people come from all over the city and country, waiting outside for an hour to taste the art of the pizzaiuolo. “Three hours,” corrected Paolo Fischetti, 40, who sat at a table savoring one of Mr. Oliva’s perfectly charred creations. Mr. Oliva, gregarious and ebullient, has sought to take pizza to the next level. As adept a marketer as Mr. Sorbillo, he seized on the Unesco publicity to show off a tasting menu of haute-cuisine dishes including pork jowl pizza puffs, artichoke sandwiches, fried amberjack calzones and marinara slices that showcased the purity of his products and the sophistication of his skill. It is a profession, Mr. Oliva said, that has allowed him to give back to the community, offering free pizzas and paying for English lessons for local children. He has a loyal following of foodies, and across a courtyard strewn with laundry, a high-tech storage room for his adored dough to rest and mature. But when he started, as a pizza delivery boy for his parents, driving a scooter with one hand and balancing the pizzas on his forearm with the other, he said no one respected the pizzaiuolo’s craft. He worried that his daughter, despite now being able to attend an exclusive private school with the children of judges and magistrates, had faced similar slights. But with Unesco recognizing her father as a leading purveyor of an intangible heritage of humanity, he hopes they will show her more respect.